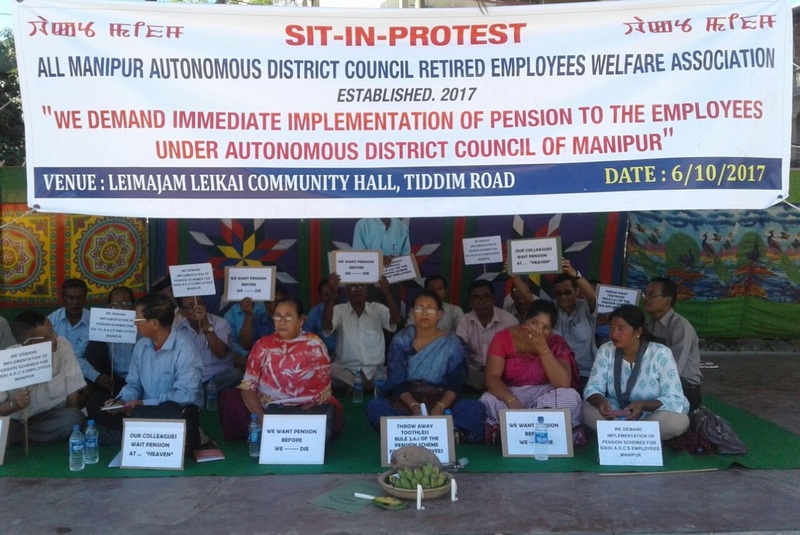 Imphal, October 6: All Manipur Autonomous District Council Retired Employees Welfare Association has warned to intensify agitations if the government fails to implement retirement policy before Ningol Chakouba. 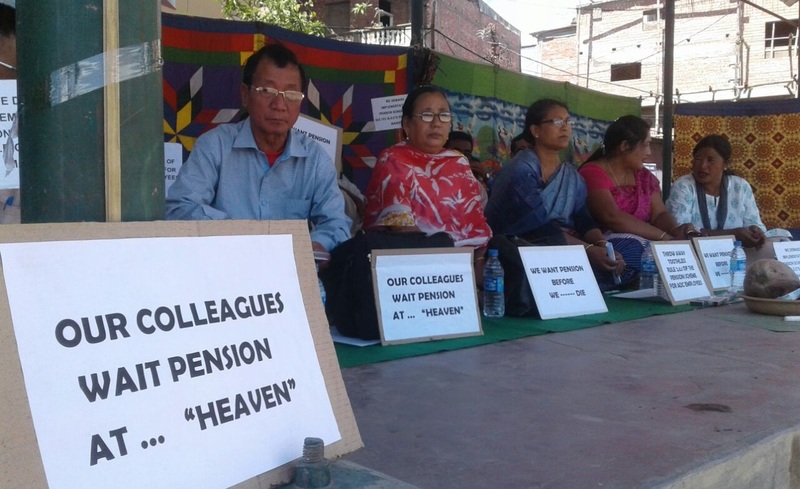 Organised by the welfare association, ADC employees staged a sit-in at Keishampat Leimajam Leikai community hall demanding to implement the retirement provisions as par the proceeding of commissioner, finance department meeting held on Septemeber 17. The meeting passed an order to implement a retirement scheme by opening a pension cell under the control of administrative department. We will take up various forms of severe agitations at all the six ADC headquarters if the government is not ready to fulfill our demands and release pension by Ningol Chakouba festival, said Guishimpao Pamei, executive member of the autonomous district council retires employees association, who is also the president of All Manipur ADC Teachers’ Association. He said there are more than 1, 000 retired employees who fail to enjoy the retirement benefits including pension, gratuity, commutations due to failure of implementation of a retirement policy for the ADC employee.There were about 7, 700 employees under ADC, about 1, 000 of them had retired. But still they don’t have the priviledge to enjoy pension, added Guishinpao. While many are approaching their retirement age the retirement policy is yet to be implemented. The retired employees should get pension at the earliest, said Guishinpao. He said, the Manipur government had issued an order for payment of pensions and other benefits under retirement policy of the state in November 1991 to be made effective from September 7, 1991. It was further amended to fulfill the retirement provision to the ADC employees by March 1, 2006 in an order issued by the then principal secretary Lawnkunga on August 22, 2006. The account general on December 22, 2016 advised the deputy accountant general of the state to make an alternative arrangement for the ADC employees, said the protesting employees. Guishinpao said, “The past Congress government failed to implement the pension, but the new BJP government should not fail to implement the retirement policy for us”. We have submitted reminders and memorandums for six times during September 17 and October 3, and if the government remains as silent spectators and does not open a pension cell we will resort to launch severe strikes in all the ADC headquarters in the state, said Guishinpao.